Hi everybody! How was your weekend? Mine was aMAZING!!! My best friend came up to surprise me for my Christmas present! I haven't seen her in a year and a half! So yeah, my weekend was fantabulous. I only hope your weekend was half as great as mine was. Sooo, it's a Manic Monday *singing to the Bangles* and you know what that means!!! 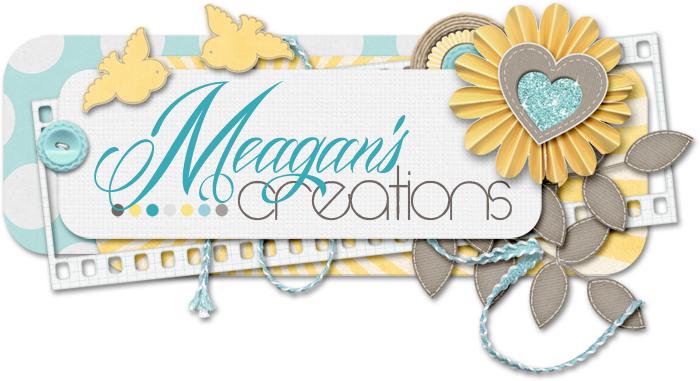 Yep, Meagan has another fabulicious product for 50% off today! Today we have the Wishes and Wings Quick Page Album on sale. I KNOW!! Cute as everything, right? I just adore these colors. And at only half price, how can you resist? I know I can't! *running feet* OK, I got my copy! Ohhhhh I said something about a freebie, right? You know it. Remember, the link is only available for 1 week. Please send your friends here for their own copy! Thank you for spending a part of your Monday with us!